Fritz and Michael Sieber founded the company Simba Toys in 1982, and concentrated on traditional toys, such as dolls, board games, soft toys and wooden toys. Some of the main focul toys are the mini dolls, fashion dolls, play dolls and functional dolls that are covered by brands such as Steffi Love and Flowee. We have for sale a cute doll with pretty open shut blinking blue eyes with her original outfit in a Graco plastic carry car basket. 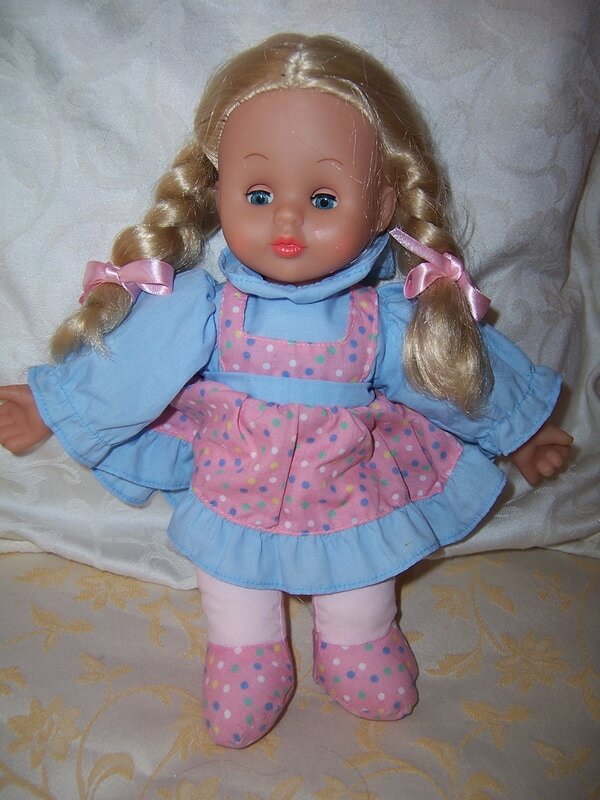 She has no brand on her except " China'' on her neck but we believe her to be a vintage ''My Love'' Simba doll. .original tagged outfit with her original white vinyl shoes. 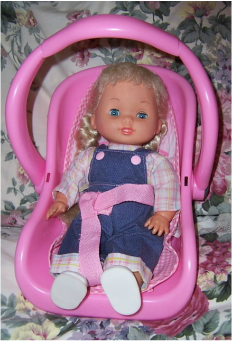 Her pink plastic carry basket has the brand ''GRACO'' on it. It has a cloth lining, and the plastic handle can be moved up or down. 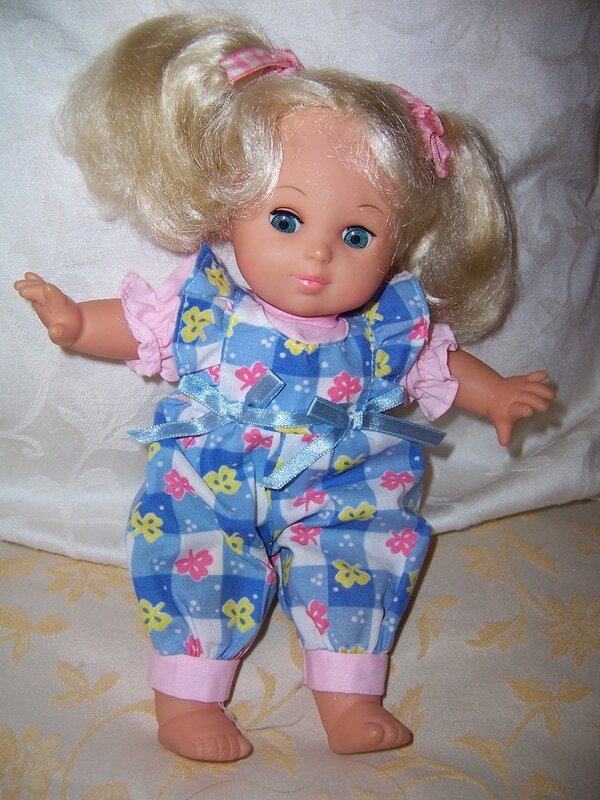 This cute small doll has not brand on her except a cloth tag which says ''China". She has the appearance of a Simba doll from 1990/2000. She is a nice size for a small child. This cute small doll has KS on her neck, and believe her to be a lovely Simba doll. She is a nice size for a small child and is lovely and soft to handle.